You went with a Viking brand of freezer because you want quality and consistency from your appliances. Viking brands freezers are complex and elegant pieces of machinery, and they’re built to last and to run for years without any major issues. Even so, it is possible that a Viking brand freezer can wear out or break down from years of continued enjoyment and use. If you are having a problem with your Viking freezer, contact us at Los Angeles Viking Repair first. We have the years of experience working with Viking brand appliances that make it possible for us to solve any Viking appliance problem, guaranteed. When you own a Viking brand appliance, you don’t want just any sort of mediocre repair or maintenance service. You want quality. When you work with Los Angeles Viking Repair, you’ll be taken care of with quality service the entire way. You’ll speak with a live human when you call. A quick discussion will get you pointed in the right direction. If that means scheduling a service visit, we guarantee that your team of service professionals will show up on time, ready to fix the problem. And as always, we offer service visits 24 hours a day, 7 days a week—even on holidays. Our service teams always travel in fully-equipped trucks, which means they have the parts and tools to get the job done in just one visit, without the hassle of repeat scheduling. Our fully-licensed and insured servicers will take a look at your problem and provide a free written estimate for work to be done. If you choose to go ahead with that work, we can usually get it done in just one service visit, and you’ll be left with a working appliance before you know it. At Los Angeles Viking Repair, we’re here to support you with both maintenance and repair options. If your appliance is broken down, not working, or needs repair, we can certainly handle that. Our trusted teams of appliance servicers are standing by to help you with any appliance repair or service you could need for your Viking brand appliance. If you’re not having problems yet, we can still be of service. Los Angeles Viking Repair offers preventative maintenance programs that will keep your appliances running great year-round. Our programs will keep your appliances maintained on a regular schedule, allowing us to guarantee their continued operation, even throughout years of continued use. Trusting a local company means getting family service from a business you can count on, and that’s what we want to give you at Los Angeles Viking Repair. We’ve been working on Viking brand appliances for many years, and we’ve been doing that work and building those years of experience with local customers who know that they can trust us. We now want to offer that same trusting local service to you, and we guarantee you’ll be satisfied with the results. Even better, when you work with a local company, you can trust that you’ll get the best deals possible. This is because a local company like Los Angeles Viking Repair will take care of its loyal customers, unlike some big-box franchise stores. And, since we’re a local company, your money will go right back into the community as you support our quality brand of work. At Los Angeles Viking Repair, we are proud to offer both commercial and residential services to all size home and businesses. Any homeowner in our local area knows that the number one trusted source for residential appliance repair is Los Angeles Viking Repair. We can handle any residential repair or service need that’s out there. But what about commercial ventures? Los Angeles Viking Repair can help with business and commercial service, as well. We have the manpower, the trained teams, and the years of experience to get big commercial jobs done. We have the tools and equipment necessary to work large-scale commercial jobs, so that your business or commercial venture isn’t slowed down one bit by appliance breakdown. If you’re a business owner with appliance woes, call us right away at Los Angeles Viking Repair. We’ll save you time, effort, and money. You’ll be glad you did. 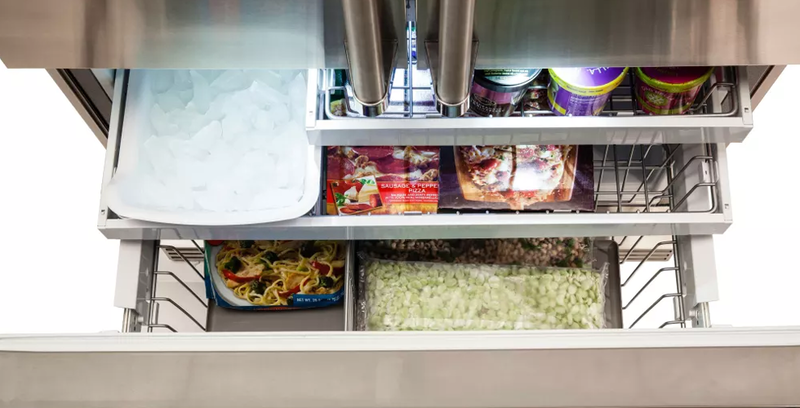 Whenever you have problems with your Viking freezer, the first thought in your head should be to contact Los Angeles Viking Repair right away. We’re just a phone call or mouse click away from helping you out. If you want to contact us electronically, just click here. Or you can pick up the phone and give us a call. We guarantee you’ll talk to a human on the other end, and not a robotic answering machine. Don’t let your Viking freezer problem become a bigger headache than it already is. Connect with the professionals at Los Angeles Viking Repair, and you’ll be in good hands.